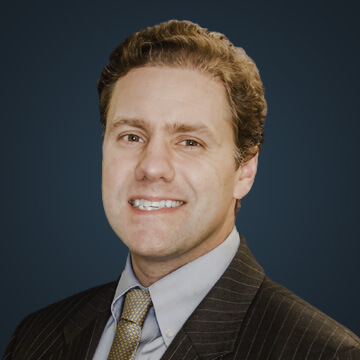 Andy Santillo has been representing workers in wage/overtime lawsuits both on a class and individual basis since he graduated from law school in 2004. These lawsuits have resulted in American workers across the country recovering millions of dollars in unpaid wages. In addition to handling hundreds of wage and overtime rights cases in the federal trial courts, Andy has successfully argued important wage and overtime cases decided by the Third Circuit Court of Appeals. Andy’s success in this area of law has resulted in his repeated recognition by prominent lawyer-rating services. For example, from 2011 through 2016 Mr. Santillo was listed as either a Pennsylvania “Super Lawyer” or “Rising Star” by Thompson Reuters in well-known publications. In addition, the Martindale-Hubbell Peer Review Rating System has awarded Andy an “AV-Preeminent” ranking. This is the highest ranking available for a practicing attorney. Andy is also frequently invited to speak on wage and overtime issues. In particular, he has served as a panelist at the following seminars: NELA’s 2018 Annual Convention in Chicago; Pennsylvania Bar Institute’s 22nd Annual Employment Law Institute in Philadelphia, PA; National Employment Lawyers Association’s (“NELA”) spring 2015 conference titled “Protecting Pay: Representing Workers with Wage & Hour Claims” in Washington, D.C.; Pennsylvania Bar Institute’s July 2014 seminar titled “Basics of Wage and Hour Law” in Philadelphia, PA; NELA’s spring 2013 conference titled “Preventing Wage Theft: A Two-Day Guide to Litigating Cases Involving Wages, Hours & Work” in Chicago, Illinois; NELA’s 2011 Annual Convention in New Orleans, Louisiana; and Workers’ Injury Law & Advocacy Group’s (“WILIG”) 2011 and 2012 Advanced Wage & Hour seminars in Cleveland, Ohio. Santillo also has been a panelist at seminars sponsored by the Philadelphia Chinatown Development Corporation and the Temple Law Alumni Association. In 2017, Andy was certified as an Arbitrator pursuant to Local Civil Rule 53.2 by Chief Judge Petrese B. Tucker of the U.S. District Court for the Eastern District of Pennsylvania. Andrew Santillo is a 1998 graduate of Bucknell University and a 2004 graduate of the Temple University School of Law, where he served as Editor-in-Chief of the Temple Political & Civil Rights Law Review. While in law school, Andy authored the comment, “National Wrestling Coaches Association v. United States Department of Education: The Potential Takedown of the Current Application of Title IX to Intercollegiate Athletics,” 13 Temp. Pol. & Civ. Rts. L. Rev. 187 (Fall 2003). Upon graduation, Andy joined the Philadelphia law firm of Trujillo Rodriguez & Richards, LLC as an associate. There, he participated in the litigation of complex lawsuits arising under federal and state wage and hour, employment, securities and antitrust laws. In May 2008, Andy joined Winebrake & Santillo as an equity partner. The firm concentrates on Federal Court litigation seeking to vindicate the rights of employees under the Fair Labor Standards Act (“FLSA”) and similar wage and hour laws. Andy is a member of the bars of the Commonwealth of Pennsylvania and the State of New Jersey, and is admitted to practice before the U.S. District Court for the District of New Jersey, the Eastern District of Pennsylvania, the Middle District of Pennsylvania, the Western District of Pennsylvania, the Northern District of Illinois, the District of Colorado, the Eastern District of Maryland and the Third Circuit Court of Appeals. Andy is also a member of the National Employment Lawyers Association (“NELA”). "Managing 'Individualized' Discovery in FLSA Collective Actions". NELA’s 2018 Annual Convention, National Employment Lawyers Association, Chicago, Ill, 2018. "Wage and Hour Issues in the Age of Trump". Bloomberg BNA, Philadelphia, PA, 2017. "Employment Law". 22nd Annual Employment Law Seminar, Pennsylvania Bar Institute, Philadelphia, PA, 2016	. "Defenses Du Jour". Protecting Pay: Representing Workers with Wage & Hour Claims, National Employment Lawyers Association, Washington, DC, 2015. "Basics of Wage and Hour Law". July 2014 Seminar, Pennsylvania Bar Institute, Philadelphia, PA, 2014. "The Day in the Life of an FLSA Collective Action". Spring 2013 Conference, National Employment Lawyers Association, Chicago, IL, 2013. "Individualized Discovery in FLSA Collective Actions". 2012 Advanced Wage and Hour Seminar, Workers’ Injury Law and Advocacy Group, Clevland, OH, 2012. "Common Wage and Hour Violations Under the FLSA". 2011 Advanced Wage and Hour Seminar, Workers’ Injury Law and Advocacy Group, Cleveland, OH, 2011. "Representing Misclassified & Reclassified Workers". NELA’s 2011 Annual Convention, National Employment Lawyers Association, New Orleans, LA, 2011. Temple Law Alumni Association, Temple Law Alumni Panel, Philadelphia, PA, 2010. "Basic Wage and Hour Issues". Philadelphia Chinatown Development Corporation, Philadelphia, PA, 2010. Between 2013 and 2016, Andy was named to the Pennsylvania “"Super Lawyer” list in the annual survey of Pennsylvania attorneys published by Thompson Reuters in its well-known publications regarding Pennsylvania’s top attorneys. This follows his previous recognition on the Pennsylvania “Rising Star” list by Thompson Reuters in 2011 and 2012. In addition, the Martindale-Hubbell Peer Review Rating System has awarded Andy an “AV-Preeminent” ranking. This is the highest ranking available for a practicing attorney.